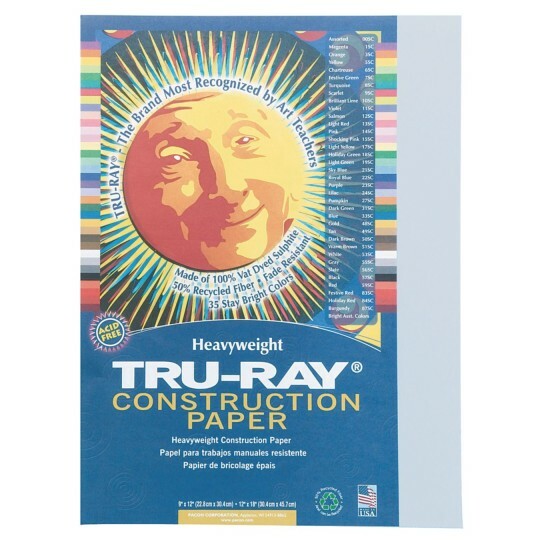 Tru-Ray® Sulphite Construction Paper, 12"x18", 10-Color Asst. 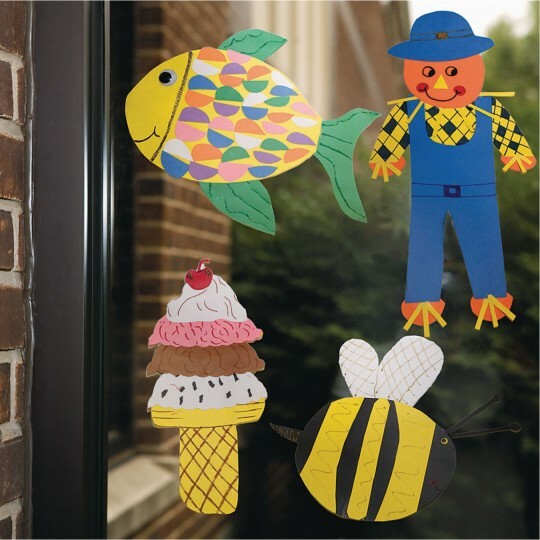 Takes everything your classroom crafters can dish out so they can focus on what's important – Being Creative Kids! Our toughest, heaviest 76-lb. 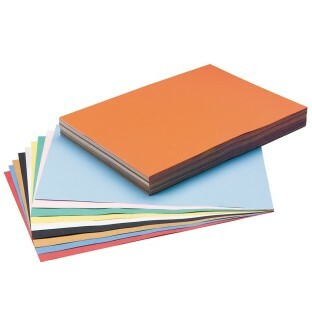 paper has the rigidity you need – even for projects that stand up without support! High bulk and high strength with long, strong, sulphite-dyed fibers that score, fold and curl evenly without cracking. While its superior strength sets it apart, its stay-bright, fade-resistant colors make it keepsake quality. Tru-Ray® is simply the smart choice when you want to keep projects fresher longer. Made with 50% recycled fibers. 10-color assortment. Colors include orange, sky blue, pink, green, yellow, white, black, brown, blue and red. This paper has great colors and doesn't fade like other colored paper. The best!